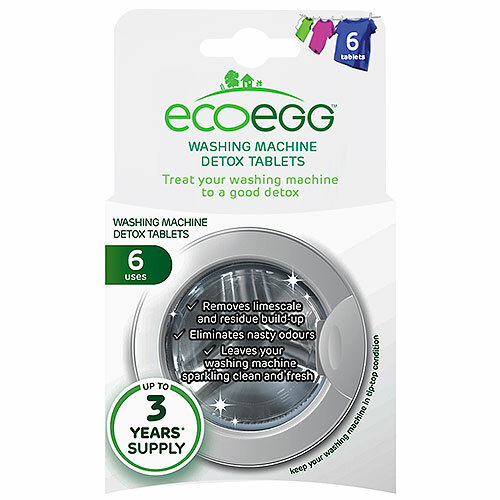 Ecoegg’s Detox Tablets give your washing machine a really good deep-down clean - even in the areas you can`t see. They remove limescale and soap scum from all the nooks and crannies. 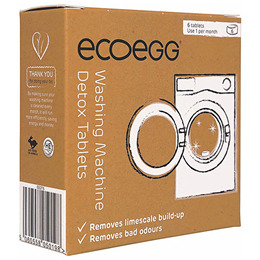 By getting to the very heart of the problem, Ecoegg`s Detox Tablets clear away any residual build-ups from your washing machine and eliminate those nasty odours too - leaving your machine cleaner, shinier and happier. One tablet every 6 months, equates to 3 years. Remove the detox tablet from the wrapper and place directly into an empty washing drum, run the washing machine on a normal wash at its hottest cycle and do an extra rinse at the end of the cycle to ensure no residue left over. If swallowed, seek medical advice imeediately and this container or label. Below are reviews of Ecoegg Detox Tablets - 6 Uses by bodykind customers. If you have tried this product we'd love to hear what you think so please leave a review. As always, bodykind easy to use. Glad to find less toxic cleaning product.